We’re delighted to announce that we’ve introduced an all-new Brunch menu to The Dining Room at Walwick Hall. Offering the very best of both worlds, Brunch has arguably become Britain’s most popular and luxurious meal of the week. 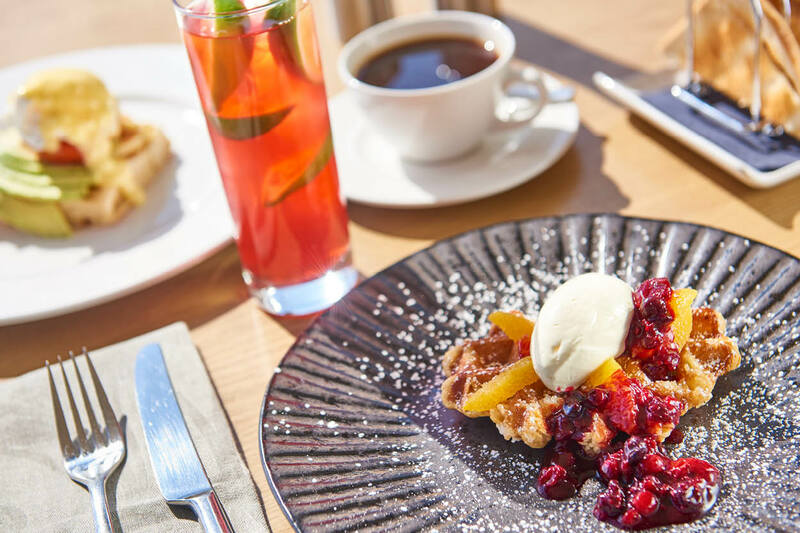 The late morning hybrid of breakfast and lunch offers the perfect excuse to while away the hours and enjoy a luxuriously catch up with loved ones over your favourite morning dish and a fresh coffee – or a Mimosa or two, if the occasion calls for it. And what better setting for it than in the beautiful surroundings of Walwick? Every Monday to Saturday, our chefs will be bringing their talents and passion to a brand new Brunch menu that puts flavour, leisure and luxury first. And with serving times lasting from 10am until noon, there’s no need for later risers to rush, either. The menu presents a selection of all the savoury brunch classics you’d expect, including smoked salmon, bacon, eggs and sausages, as well as more unique savoury delights such as our flavour-filled Breakfast Flatbread served with the perfect combination of avocado, cherry tomatoes, feta and poached eggs. If you’re still yearning for more, our Grilled Halloumi & Avocado Crumpet with lashings of hollandaise and grilled plum tomatoes is sure to hit the spot. Prefer something a little sweeter to start your day? Sample fresh seasonal fruits, fluffy Blueberry Pancakes with banana and maple syrup, or Belgium Waffles complete with berry compote and orange crème fraîche. Or perhaps our fresh Baker’s Basket and a pot of fresh tea is all you need to enjoy the perfect morning? Whether you’re joining us for a midweek treat or a leisurely Saturday morning, Brunch at Walwick is truly an occasion to make your own. Walwick Hall Hotel, Humshaugh Hexham Northumberland NE46 4BJ.